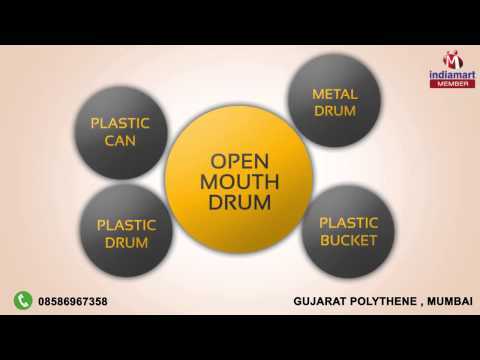 Welcome to Gujarat Polythene, established in the year 1960, are among the prominent manufacturers, suppliers and traders of a wide array of high quality Plastic Drum & Container. Our effective product range comprises Open Mouth Drum, Metal Drum, Plastic Bucket and many more. Appreciated among our customers for its rich attributes such as high thermal & electrical insulating property, seamless finish, durability and resistance to various harmful chemicals, these metal products and plastic containers & drums are designed from quality assured plastic and metals such as stainless steel.